Zingo! takes bingo to a new level of challenge and engagement. 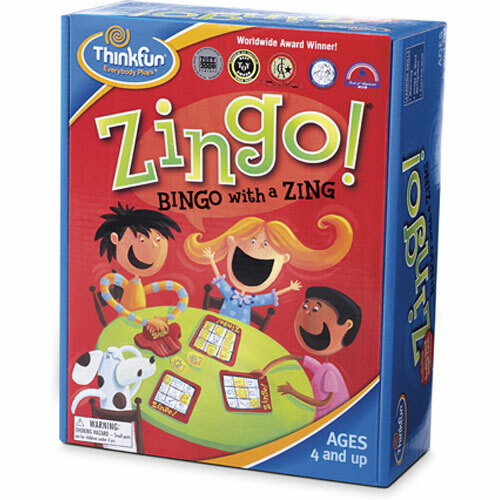 Zingo is a multi-award-winning game and one of our top sellers. 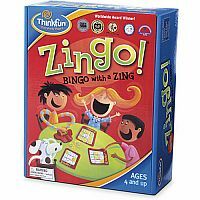 Benefits of Zingo-ing: it encourages play, builds concentration skills, supports early readers, teaches good sportsmanship, relies on word use and recognition, engages the whole family and... you HAVE FUN! 1?6 players!